Montgomery's case is regarded as a landmark in the fight against doping as it introduced the non-analytical positive. Once the world's fastest man, Montgomery never returned a positive test for a banned substance but admitted under oath to a U.S. Federal grand jury investigating BALCO (Bay Area Laboratory Cooperative) that he had used steroids and human growth hormone. Montgomery, who helped the United States to win gold in the 4x100 metres relay at the Sydney Olympics, was stripped of his medal and his 100 metres world record of 9.78 seconds set in 2002 in Paris was wiped from the record books based on the evidence given during his testimony. He was barred from competition in 2005 and retired the following year. 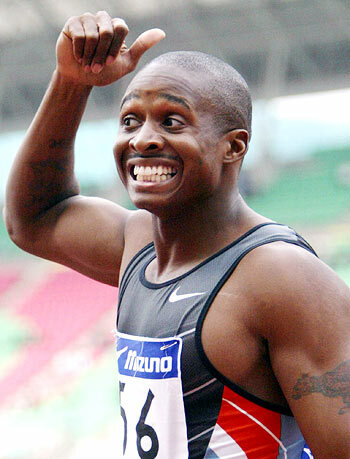 Montgomery, who has a son with disgraced sprint queen Marion Jones, was later sentenced to 46 months in prison for cheque fraud and money laundering and last October had five years added to his sentence after being convicted of possessing heroin with the intent to distribute it. In 2003, a little laboratory on the outskirts of San Francisco became the epicentre of a huge doping scandal that continues to reverberate around the sporting world. 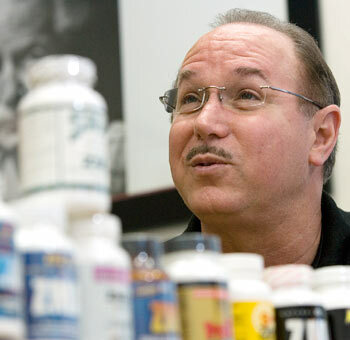 BALCO head Victor Conte, a former bass guitarist who switched careers and opened the laboratory, used a gregarious personality and self-taught knowledge of nutrition to gain access to some of the top names in athletics, baseball and American football. Conte's operation was exposed after a syringe containing the designer steroid known as "The Clear" or THG (tetrahydrogestrinone) was handed over to doping authorities by disgruntled coach Trevor Graham. The list of athletes linked to the laboratory included sprinters Montgomery, Jones and Dwain Chambers and baseball sluggers Jason Giambi, Gary Sheffield and Barry Bonds, Major League Baseball's all-time home run king. Bonds has denied knowingly taking steroids and has never failed a drug test but the seven-time National League Most Valuable Player has been indicted on perjury and obstruction of justice charges based on his grand jury testimony in the BALCO investigation. The biggest scalp taken by anti-doping crusaders, Jones was the world's best known and most successful female athlete before her career ended in disgrace and jail. Winner of five medals, including three golds, at the 2000 Sydney Olympics, Jones had been the darling of the sporting world until a federal probe into the BALCO laboratory revealed her feats had been powered by performance-enhancing drugs. After confessing her steroid use, Jones, who earned millions in product endorsements, prize money and appearance fees, was stripped of the five medals and all her results from September 2000 were erased from the record books. 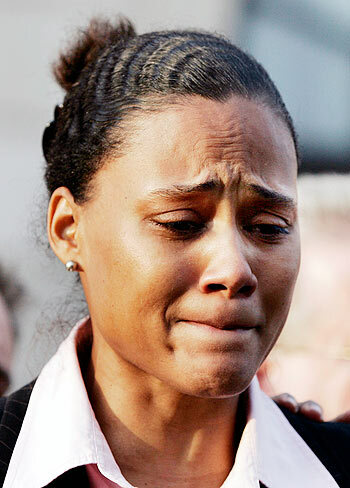 Humiliated and in financial ruin, Jones was sentenced to six months in prison in January 2008 for lying to federal prosecutors about her drug use. WADA gained a valuable ally in the fight against drugs in sport when the U.S. Congress used its muscle to force MLB to confront the doping issue. Under threat from U.S. Congress to clean up the 'national pastime', MLB brought in highly respected Senator George Mitchell to conduct an independent investigation into the use of performance-enhancing drugs in the Major Leagues. The result was a 20-month probe and an explosive, 409-page document known as "The Mitchell Report" released in 2007 that detailed a deep-rooted drug culture within baseball, identifying 89 players, including pitching great Roger Clemens, as alleged users of performance-enhancing drugs. Commissioner Bud Selig termed the report "a call to action" and vowed to clean up baseball but two years later MLB continues to be battered by doping scandals. In 2003, when MLB was debating the need to impose mandatory drug-testing, it conducted confidential tests on players with 104 returning positive results. While those results were meant to remain anonymous they were leaked to the media ahead of the current season with baseball's highest-paid player, New York Yankees slugging third baseman Alex Rodriguez, featured at the top of the list. 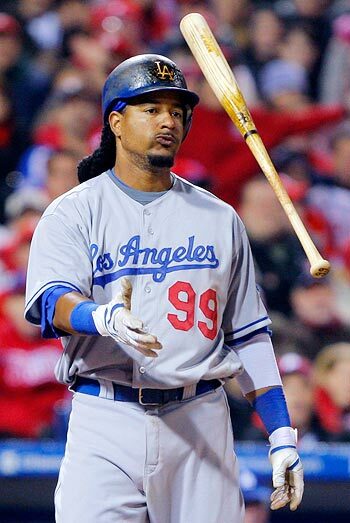 Baseball's tainted reputation took another hit in May when Los Angeles Dodgers slugger and 12-times All-Star Manny Ramirez was suspended for 50 games after a positive test. Ferdinand never failed a drug test but he did fail to appear for one in 2003, resulting in the Manchester United and England defender being given an eight-month suspension. Ferdinand said he had simply forgotten about the scheduled test and took another one two days later that came back clean but, under the hard-line position of the Football Association, missing or refusing to be tested is the equivalent to testing positive. It proved to be a costly slip for Ferdinand who was also fined 50,000 pounds ($82,600) and missed the rest of the league season and Euro 2004. Although FIFA sought harsher sanctions in this case, world soccer's governing body and WADA have continued to bump heads over the contentious whereabouts rule that requires players to make testers aware of where they will be for a certain period each day. While the doping scandal that consumed the 1998 Tour de France and became known as the Festina Affair preceded WADA, the events of that year provided the catalyst for the formation of a world anti-doping agency. After watching the ugly scenes on television of police raiding team hotels searching for performance-enhancing drugs the International Olympic Committee (IOC) decided that doping was an issue that could no longer be ignored and convened a World Conference on Doping, bringing together all parties involved in the fight against doping. The conference produced the Lausanne Declaration on Doping in Sport that provided the framework for the creation of an independent international anti-doping agency to be fully operational for the 2000 Sydney Olympics. Greek sprinters Kenteris and Thanou were expected to produce the biggest headlines at the 2004 Athens Olympics. They did, but for all the wrong reasons, plunging the host nation into a embarrassing doping scandal. Kenteris, the 2000 Olympic 200 metres champion, and Thanou, who won silver in the women's 100 metres at Sydney behind admitted drug cheat Jones, were due to undergo doping tests the day before the opening ceremony but failed to appear, saying they had been involved in a motorcycle crash. Thanou and Kenteris later withdrew from the Games amid speculation over whether there ever was an accident. They were later suspended by the IAAF for missing three drug tests. Landis became the first winner of the Tour de France to be stripped of the title after failing a dope test but for WADA the true victory came when the American's appeal was rejected and the ban upheld. A day after a poor performance in the 16th stage of the 2006 race appeared to put him out of contention, Landis staged an astounding fight back, winning the final mountain stage in spectacular style to reclaim the yellow jersey. A drug test after the 17th-stage win revealed Landis's dramatic charge was fuelled by performance-enhancing drugs when he tested positive for synthetic testosterone. 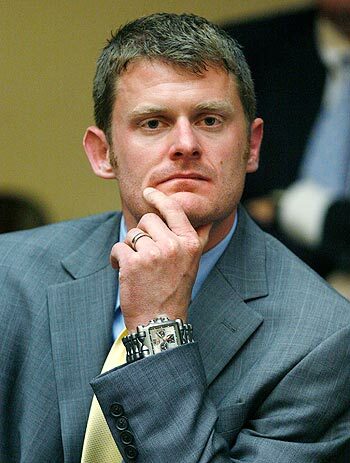 Landis denied using drugs and blamed the positive tests on procedural mistakes by the French laboratory, assembling a high-powered team of experts and lawyers to dispute the results. 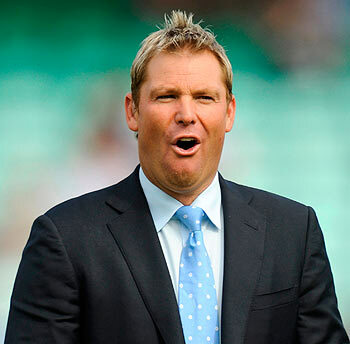 Widely regarded as the greatest leg spin bowler of all-time, Warne's career was interrupted by a one-year suspension from the Australian Cricket Board in 2003 after testing positive for a banned diuretic that could be used to mask other prohibited substances. Warne admitted using the banned substance but said it was given to him by his mother so he would not look overweight on television. Hingis's return to competitive tennis was cut short in 2007 when the five-time Grand Slam winner announced she had tested positive for cocaine following her third-round match at Wimbledon. The former world number one denied ever using cocaine but immediately retired for a second time saying she had "no desire to spend the next several years of my life reduced to fighting against the doping officials". Eight-times Grand Slam champion Agassi shocked the tennis world last month when he admitted using the recreational drug crystal meth during his career and lying to men's governing body the ATP to escape a ban. WADA said it planned to investigate to see if any charges could be brought.